The Rebel Sweetheart. 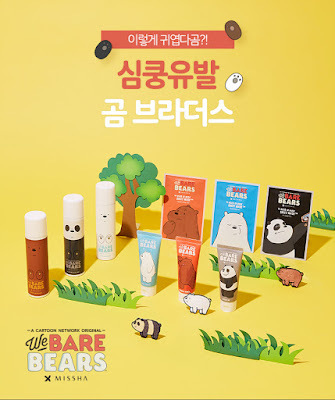 : Sneak Peek | Missha x We Bare Bears Collection. Looks like there's no stopping the popularity of Grizzly, Panda, and Ice Bear! 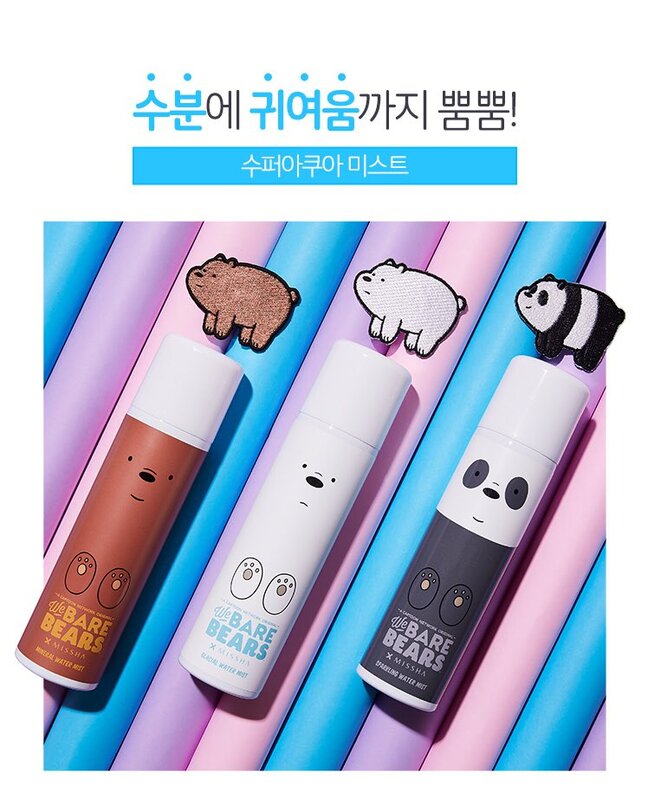 The three bear brothers from the animated sitcom 'We Bare Bears' have teamed up with Korean beauty brand Missha, and now they're the stars - yet again - of a new collaboration collection. 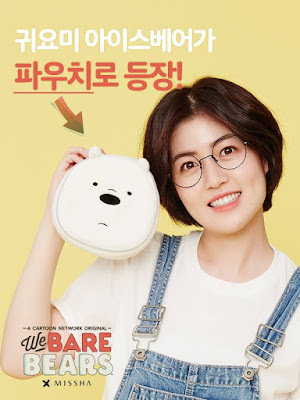 Missha x We Bare Bears! Launched this September, the Missha x We Bare Bears collection features skincare favorites such as sheet masks, face mists, and hand creams. Because we can't get enough of these adorable bears! 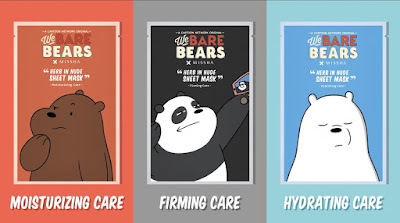 Each skincare product has three variants - one variant for each bear. Sheet Mastk, 1500 won each. The Grizzly sheet mask is made with rose flower tea and has moisturizing benefits, while the Panda sheet mask is made with roiboos tea to make the skin smoother and firmer. The Ice Bear sheet mask, on the other hand, is made with green tea essence to soothe and hydrate the skin. Face Mist, 12800 won each. As for the face mists, Grizzly's is a Mineral Water Mist made with 92% pure mineral water and ideal for dry and dull skin. Panda's is a Sparkling Water Mist made with 96% sparkling water which moisturizes the skin while keeping oil and sebum at bay. Ice Bear's is a Glacial Water Mist, which happens to be my personal favorite. It's made with 94% glacial water which soothes and cools tired, sensitive skin. 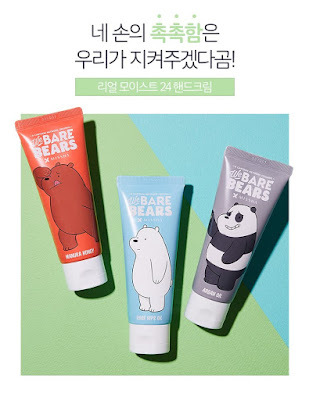 Hand Cream, 4500 won each. Finally, we have the hand creams. The Grizzly hand cream is made with Manuka Honey, the Panda hand cream is made with Argan Oil, while the Ice Bear hand cream is made with Rose Hip Oil. All three have light and lovely scents, and are deeply moisturizing without the greasy feel. Ice Bear makeup pouch, 3900 won. The Missha x We Bare Bears collection is now available at Missha stores across South Korea and at the BeautyNet official site. You can also avail of this adorable Ice Bear makeup pouch for just 3900 won! What cute packaging!! I really want them for the sake of collection, particularly those face mists. They are adorable! Wow what a cute packaging. I really want to collect them. Especially the face mist. So cute! 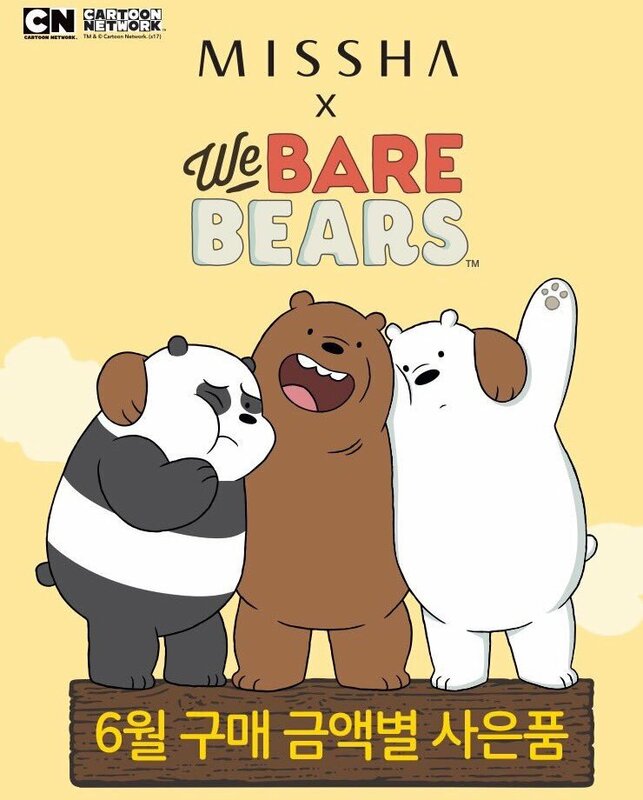 My daughters love the We Bare Bears! That is such a nice team up, ang cute ng packaging ng products. I've to try these.